I hate ‘Wash days’…. Don’t get me wrong, I love the feeling of freshly washed hair but the thought of washing it kills me- not just the amount of time it consumes sometimes but the fact that I have to keep my head bent while my back aches through the process. Because of these worries, I decided to try a different wash method which i thought to share. I had little braids on, which i loosened and detangled with a lot of patience. It is important that you thoroughly and patiently detangle your hair before each wash to make it easier to wash with very minimal breakage due to untangled knots. I detangled with water and a generous amount of Cantu (Sulfate free) Shea Butter Hydrating Cream Conditioner, dividing them into different sections. After detangling, I let the conditioner in for a while (about 15-20mins)and passed time doing a little bit of house chores. Then I brewed two bags of green tea(which btw reduces hair shedding) in a bowl which I kept for my final rinse. With my water all set and all the wash essentials ready, I poured water on the hair and washed with Pantene ‘Natural Hair’ Co-wash. I must commend this product, so far it has been one of the best Co-wash products since I transitioned. It leaves your hair overly soft after washing! During the second wash, I combed through the hair to ensure it hadn’t tangled before rinsing. When I had rinsed thoroughly, I poured Two caps of cold water through the hair for a final rinse before pouring my brewed Green tea as a grand finale. I wrung my hair to get rid of the water and allowed to air dry. 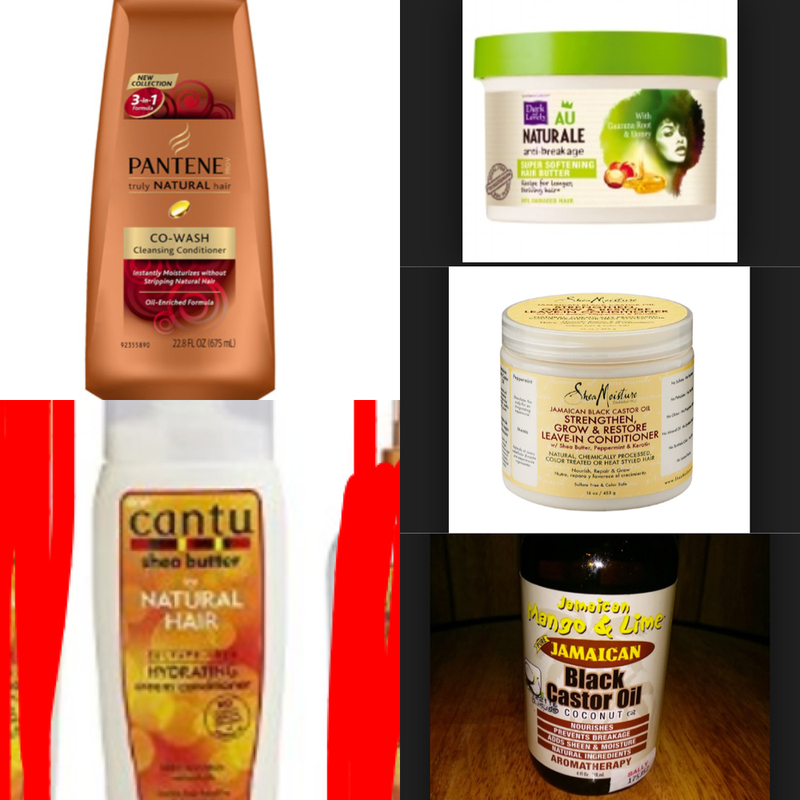 I then applied Shea Moisture’s Jamaican Black Castor oil Leave-in Conditioner, parted my hair line after line applying Mango &Lime Black Castor oil ‘Coconut’ on my roots then twisted big chunks together using Au Naturale Super Softening Hair Butter on each twist so i could detangle easy when it’s all dry. This actually took me not more than 2hours to get everything done, it was super easy and I got great results! 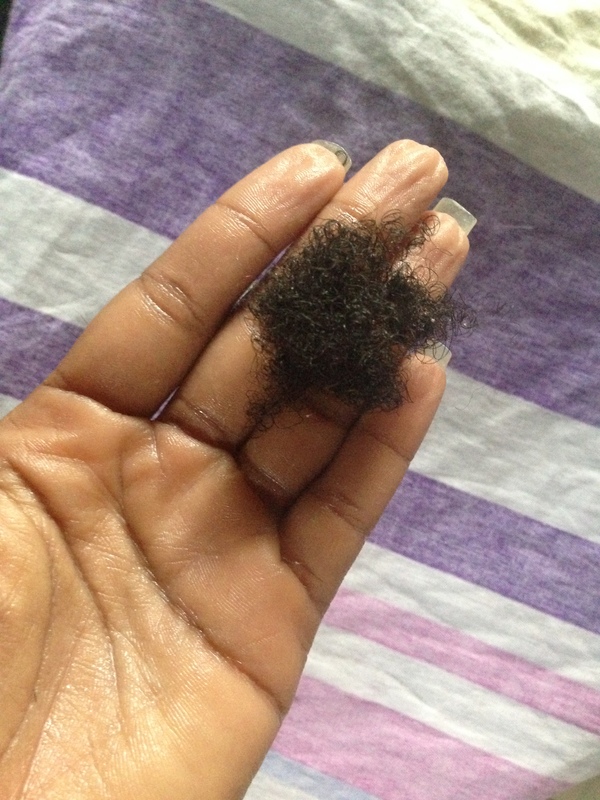 Very minimal shedding…..You could try this method when next you have a wash day and let us know how it turned out. Next Next post: Faux Locks Behaviour!! !